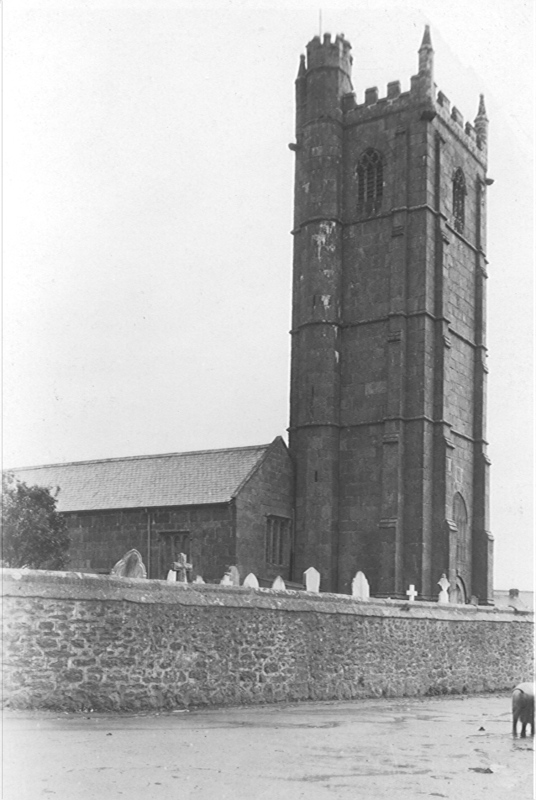 The Tower is defined by simple string courses with slender, slightly stepped, setback buttresses. 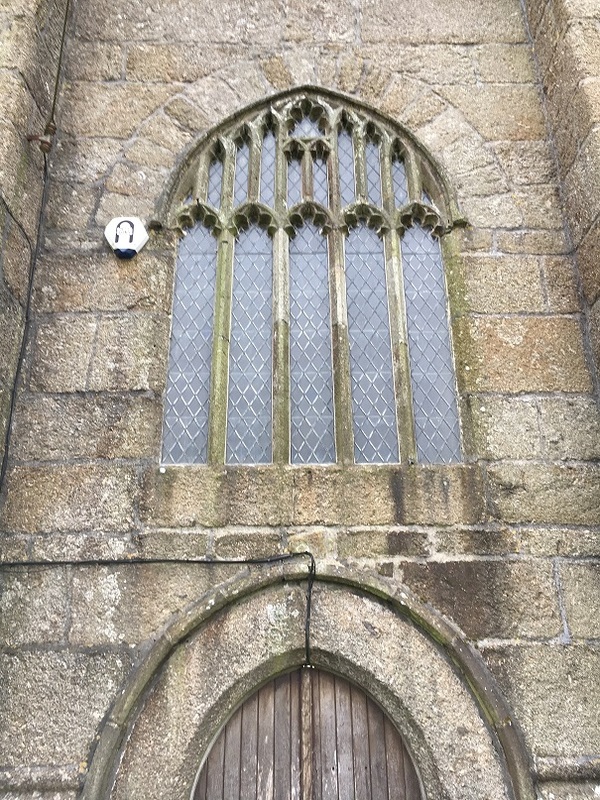 It has a pointed arched west doorway, with west window over, consisting of a five-light mullioned pointed arched window with simple cusped perpendicular tracery. The upper stage has a three-light mullioned bell pointed arched openings on each face with simple cinquefoil tracery over. A canted stair tower rises to an octagonal embattled tower on the east end of the north face lit by slit lights set in the ashlar block perpends. 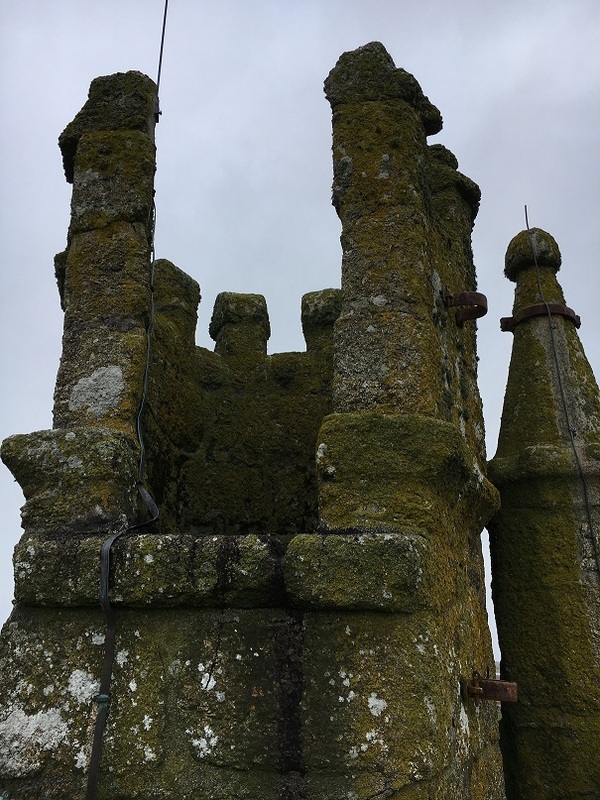 The embattled parapet has corner pinnacles. 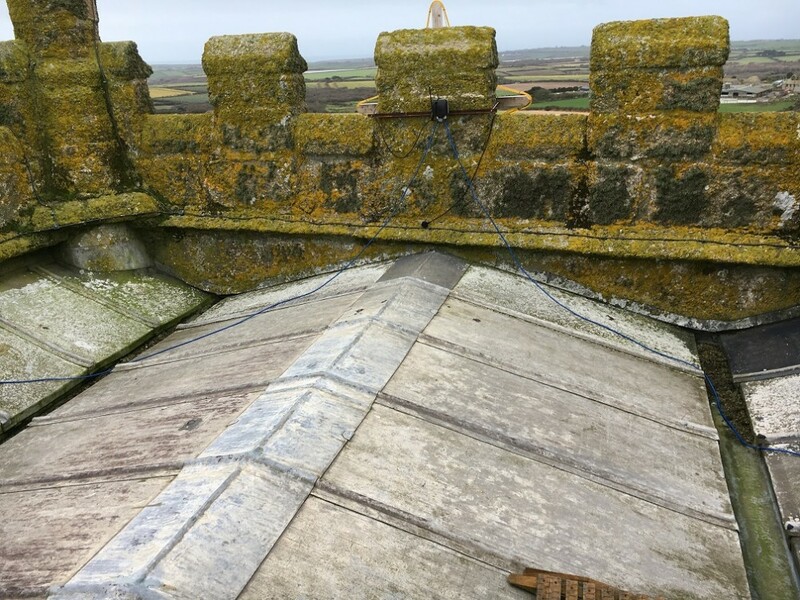 The lead roof is a shallow 'W' profile with twin lead valleys running to downpipes that run down through the parapet masonry and then down the east face of the tower. Over the tower doorway is the monogram I.H.S. 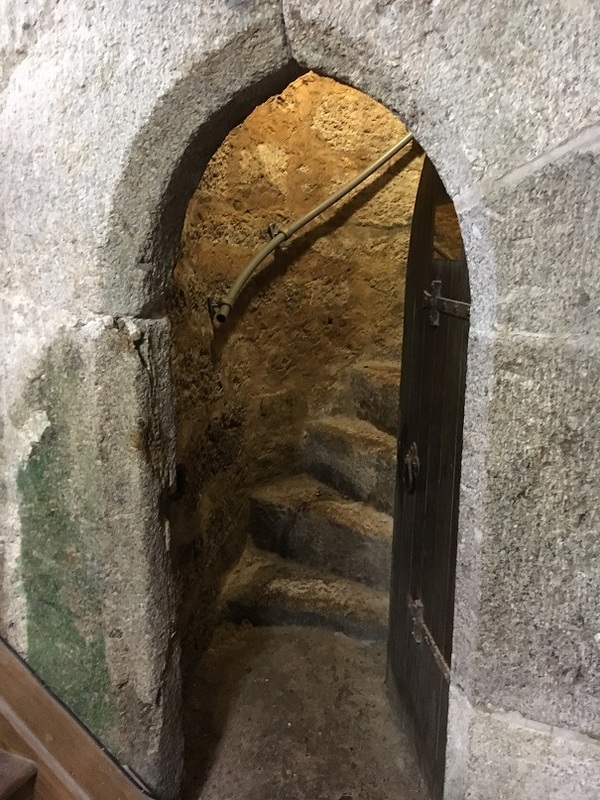 The Tower was completed in 1501 after taking 21 years to build using local Lamorna cut granite, (the same stone used to build old London Bridge - now in Arizona). Some of its fine stones weigh over two tons each and gives the tower massive strength. 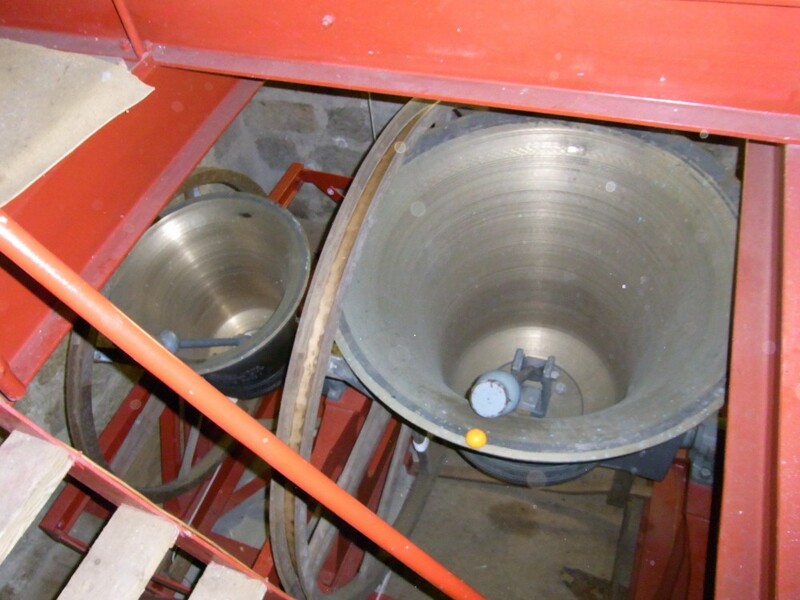 A 1991 survey showed that even with all the bells swinging in the same direction the 90ft tower only moved 0.005 inches. A string course is a projecting horizontal band set in the surface of the wall. 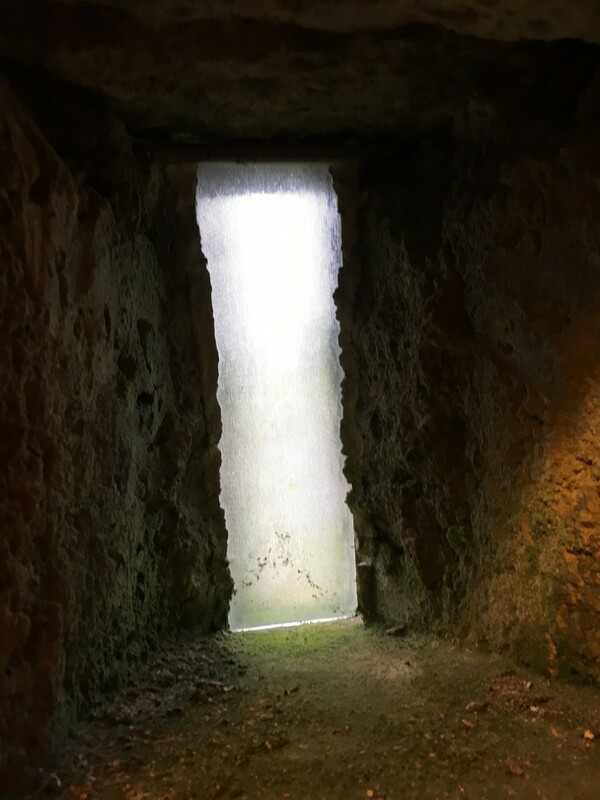 A Light is a panel of glass between two mullions. 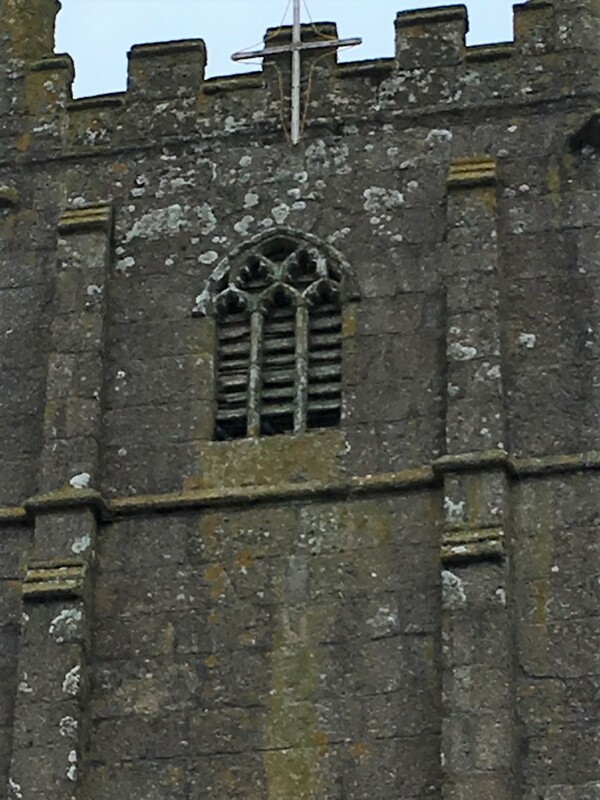 Mullion, a vertical post or upright dividing a window into lights. 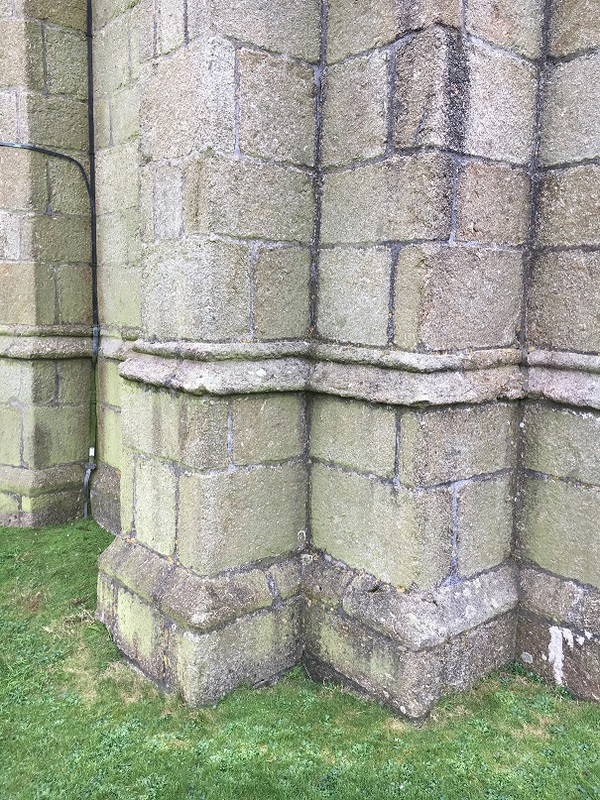 Embattled, parapet with a series of indentations with raised portions between them. Ashlar, masonry of large blocks wrought to give even faces and square edges. Perbends, stones carried through the whole thickness of a wall.